Manganese materials (powder and granular) can be ground from a variety of ore materials (e.g. raw umber), thus the powder is not a pure manganese oxide. While they are often considered a nuisance dust the ores often also contain significant amounts many other compounds like barium, lead, quartz. Among potters and hobbyists, the most significant use of manganese is in metallic raku fired glazes (20% or more). However high amounts of manganese dioxide can also be used in bodies for dark grey and black colors (up to 10%). These can produce metal oxide fumes that can be very harmful. Unventilated indoor kilns pose a significant threat. Standing downwind or close to outdoor raku kilns laden with manganese saturated glazes can also be a serious hazard. Before classifying bodies containing manganese granular (to create a speckled fired surface) as dangerous the situation must be put into perspective. Such bodies contain only about 0.2% of 60-80 mesh manganese granular. 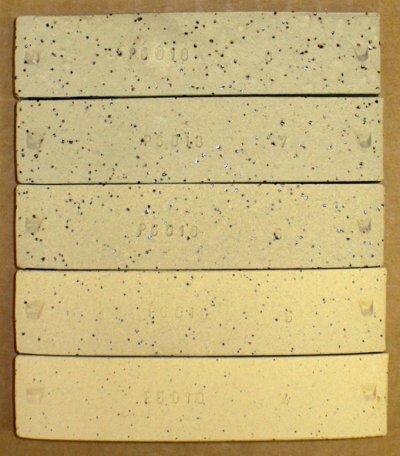 The vast majority of particles are encapsulated within the clay matrix. Most of the tiny percentage of particles exposed at the surface are engulfed by the glaze. 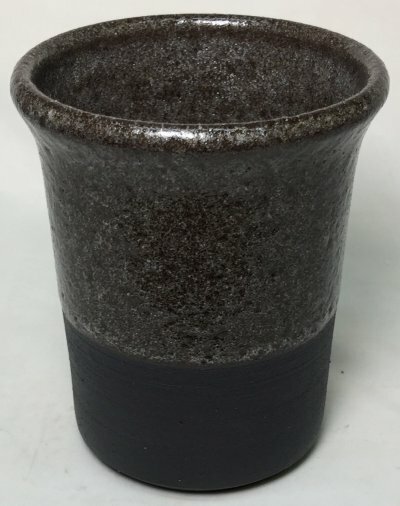 All of the particles that actually bleed up through the glaze to either near or at the surface have been significantly diluted and stabilized against leaching by the glaze melt that surrounds them (they bleed and diffuse into it). Thus the total area of leachable manganese glass on a functional surface is extremely small. Notwithstanding this, there is a perception that must be considered. Some potters have used engobes and slips containing manganese granular so that these can be applied, under the glaze, to non-food surfaces only. 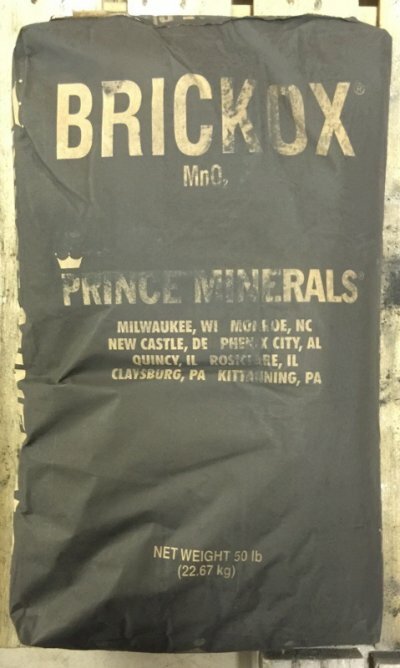 This bag will give you a clue as to what manganese dioxide is mainly used for. High-manganese body at cone 6. 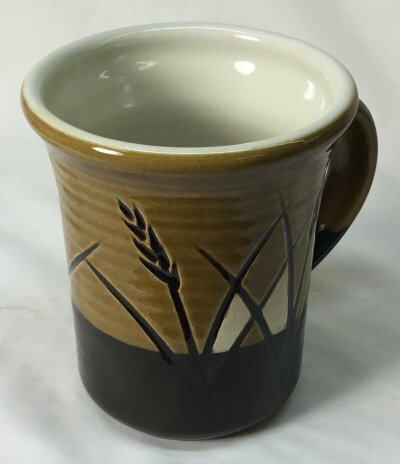 Practical and safe for functional ware? This type of clay is made by a number of North American manufacturers. Generally, raw or burnt umber are used to stain the color (10% or more). Umber contains a high percentage of manganese. The umber also fluxes the body and some manufacturers make the mistake of adding it to a cone 6 body and this is the result: bubbling of the glaze (in this case it is a transparent) and bloating and warping of the body. If the manganese is added to a cone 10 clay, the umber will flux it to mature around cone 6 without these problems. These bubbles are happening because the umber is decomposing and potentially gassing metal fumes. A functioning kiln vent is a must to fire this type of body. The materials you use present two hazards you need to think about: Are they poisoning you while working with them? Are they destabilizing your glazes so they dissolve into food and drink?